After a hot summer, we relish a chill in the air, signaling that fall is here and winter is just around the corner and you may need a heater or furnace repair. While Southern California is never too cold, there are those crisp mornings when we need to light the furnace and warm our home or business. When cold temperatures come, nobody wants to discover a broken heater – so book regular maintenance on your furnace before autumn comes around. We can replace filters, review any damaged parts and ensure that your home or business is ready for winter temperatures. Make sure your thermostat is set to “heat”, and that your circuit breaker hasn’t flipped. If you smell gas, call us right away and shut off your furnace immediately. Change your furnace filter. Even if your heater is running, sometimes a dirty filter can cause poor air circulation and inefficiency. Replace your filter, or call us and we can do it for you. Electric ignition or pilot light problems, often caused by drafts, thermocouple problems, and clogs in the appliance. If you’re having any of these problems with your furnace, call us immediately. If you hear anything unusual, like the blower running too often, or rumbles and squeaks coming from your heater, call our office. Any furnace can pose combustion or safety hazards, so let our team give you peace of mind if you hear or see anything unusual in your HVAC system. Since 1994, Randy Miller and the Rand Aire Mechanical team have been serving homeowners and businesses all over Orange County, California. 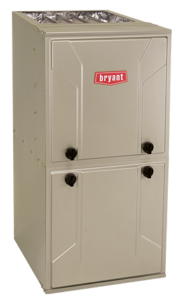 We can fix any kind of furnace: gas, electric, heat pumps, oil, dual fuel and boilers. The Rand Aire team is fast, friendly, experienced and efficient. We won’t over-sell services or repairs that you don’t really need, and we will always be on-time and respectful of your home. Chances are, you know someone who’s used our furnace repair or air conditioning repair service in the OC area; so when it gets cold, make sure that your home or business stays cozy with our guaranteed heater maintenance and repair. Give us a call today and find out why our customers are always 100% satisfied with our HVAC expertise.